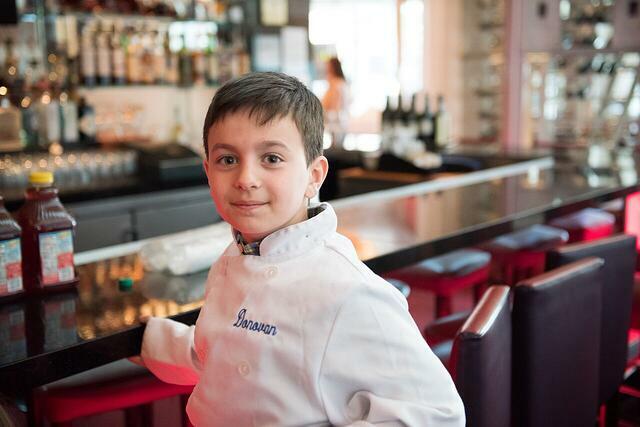 Donovan M. is a rising fifth-grader at BASIS Independent Brooklyn who also flexed his culinary muscles as a contestant on Season 5 of FOX's MasterChef Junior. 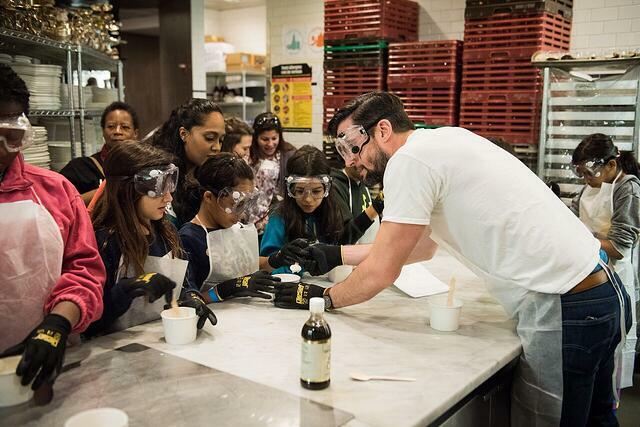 His role on the show generated a great deal of excitement among our students, and it inspired our Manhattan admissions team to create an event for families with Donovan focusing on one of his favorite subjects - science. “Cooking is like chemistry, and that’s why I like science,” he recently told a reporter covering his appearance on MasterChef Junior. BASIS Independent invited Donovan and three of our amazing science teachers to the iconic New York City restaurant Le Cirque for a "Science of Cooking" event. Donovan spoke about his love of cooking, and our faculty demonstrated how science could come alive for students through hands on activities. "We want our students to be active participants in their learning," stressed BASIS Independent Manhattan Head of School Jesse Rizzo when welcoming families to the event. 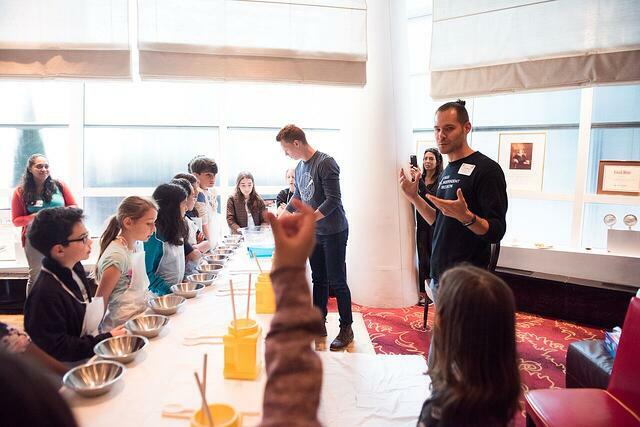 "Today we celebrate the chemistry and physics involved in cooking with students. Parents, we want you to glimpse at the level of engagement we strive for in our classrooms." Families moved from demonstration to demonstration in the restaurant. Below are some wonderful photos from the event captured by a BASIS Independent Brooklyn parent and photographer Troy House. 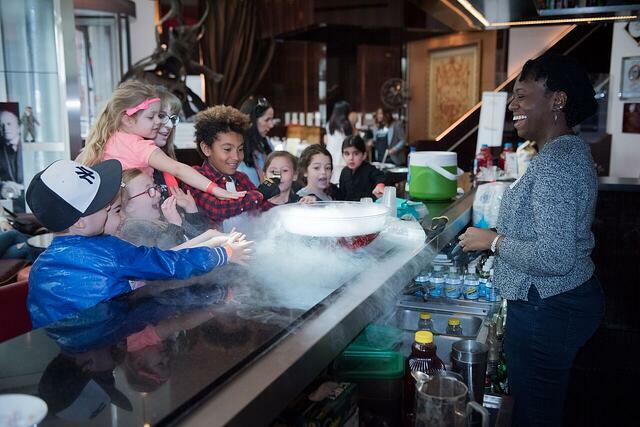 The amazing Ms. Thorne took students through the wonders of dry ice and bubble making at the bar. Participants helped make their own "mad scientist" drinks and learned about sublimation in the process. Physics teacher Mr. Winter explained to students all about liquid nitrogen and why it could make ice cream in minutes. Children from preschool to middle school were wowed as actual liquid nitrogen was poured into their cups. We saw many smiles and expressions of disbelief as children stirred the ingredients to create their own ice cream instantly. One of the all-star elementary science teachers Mr. Bissinger introduced students to the messy but incredibly fun world of oobleck. Children were shocked to see the simple, corn starch mixture could be poured into bowls like a liquid but then it turned into a solid with the application of force. While the demonstration was messy, it was loads of fun. BASIS Independent Schools aim to nurture student interest and empower all individuals to find what truly inspires them. 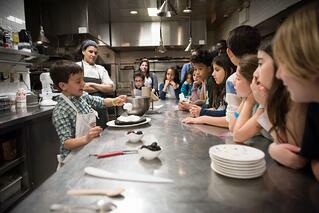 Thank you to Donovan and his family for inspiring and participating in our "Science of Cooking" event! Many thanks to incoming BASIS Independent Manhattan family the Manticas for making it possible to host the event at Le Cirque, which is ranked among the world's best restaurants and offers incredible venues for private events. Learn more about BASIS Independent Brooklyn and Manhattan by attending one of our upcoming events.